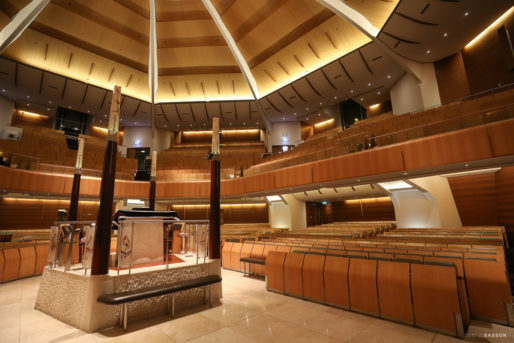 The Central Synagogue of Bondi Junction, Sydney, is the largest synagogue in the Southern hemisphere and has the largest Jewish congregation in Australasia. 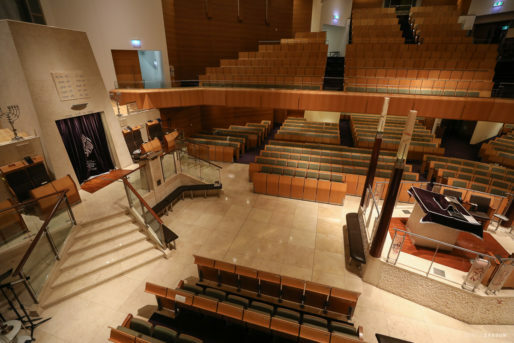 In 1960, a new site was purchased and the shul moved to its present location, Bon Accord Avenue, Bondi Junction. 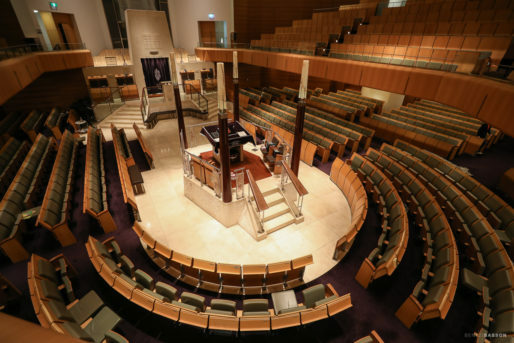 And so it remained for over three decades until one fateful day, September 25th, 1994, when an electrical fault caused a devastating fire rendering the shul completely gutted. The building and contents were largely reduced to rubble – irreplaceable memorabilia and many Sifrei Torah were lost as well. Out of the ashes, the community took a deep breath and resolved to draft plans and ideas for a newly built shul. 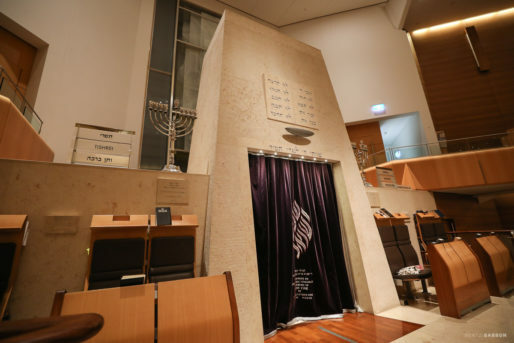 The dreams of many devoted communal members became a reality in May 1998, with the moving dedication of the new synagogue. Today, this modern marvel stands proudly as a symbol of the true Jewish spirit, perseverance, and determination. 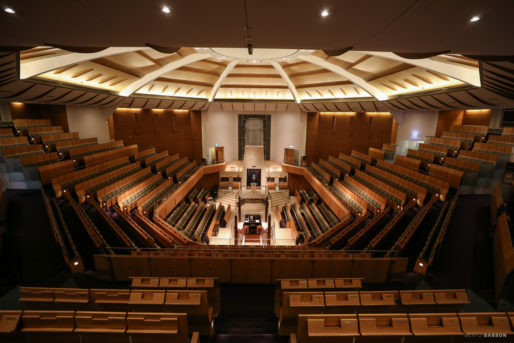 Undoubtedly, The Central Synagogue is one of the most aesthetically beautiful houses of worship in the world – the design has been likened to ‘visual poetry’. 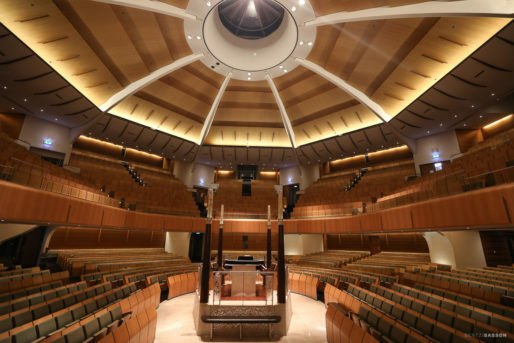 The design features subtle yet significant links to Israel. 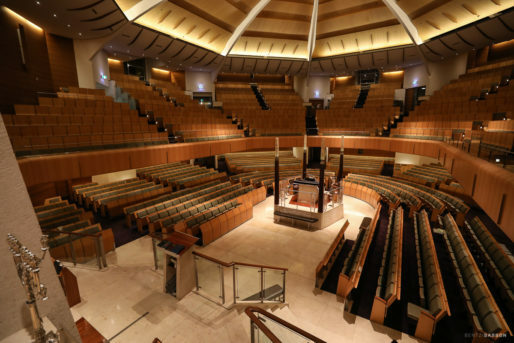 The building is orientated to position the Ark in a direct line with Jerusalem. 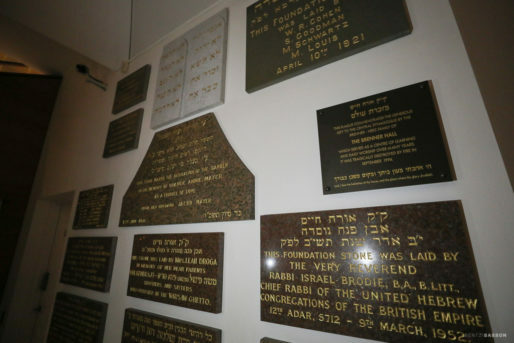 In addition, Jerusalem Stone adorns the Aron HaKodesh and its surrounds. 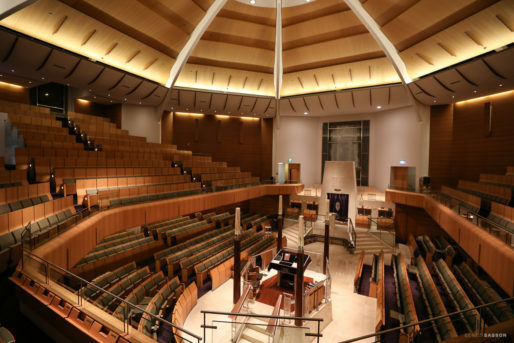 All who participate in the synagogue services stand with their feet symbolically facing the hills of our Holy City. 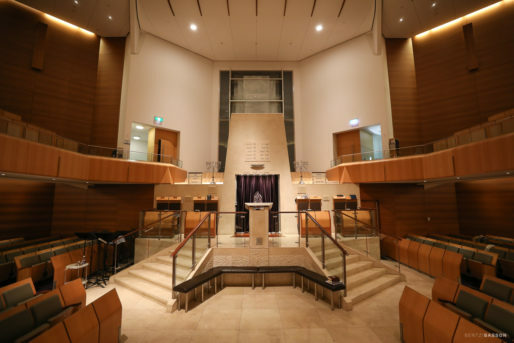 Forty-nine veils of glass form the four magnificent windows within the shul, designed by renowned glass artist, Janet Laurence. Each window represents a Kabbalistic World, with hues depicting the symbolic colors of the sephirot, or guiding principles. PREVIOUS POST Previous post: Good Morning from the Airport.